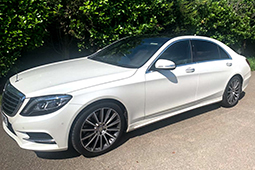 Whether you need transport to a business meeting, an airport transfer, a chauffeur to an evening in the West End of London or a day at the races, we at Hutton Executive Cars will make sure that you arrive at your destination on time, relaxed and in style. 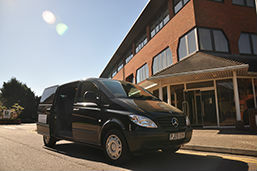 We have a range of vehicles available with a choice of 5 to 7 seats. 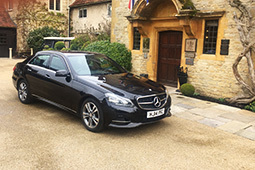 At Hutton Executive Cars we pride ourselves on the reputation that we have built up over many years for our punctuality and reliability - we will get you where you need to be when you need to be there in comfort and safety. 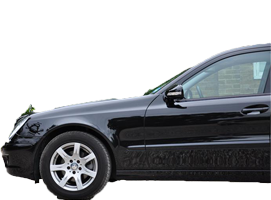 Your personal chauffeur awaits you... Our door-to-door airport transfer service ensures that on your return from your holiday or business trip your chauffeur will be waiting to collect you and your luggage for onward travel to your final destination. We aim to give an experience that you would desire and expect from a professional company, and we endeavour to always meet and exceed your expectations.